Max Kozloff walks down the streets of New York and offers to the viewer his peculiar vision of a colorful, multi-ethnic, and multi-faceted city. A series of funny pictures that can surprise and drive the viewer in a curious path in one of the most photographed places in the world. 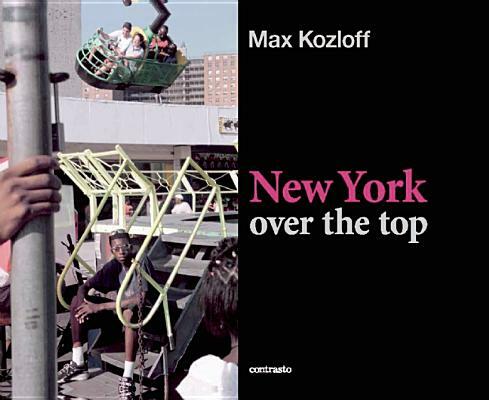 Max Kozloff (born in 1933 in Chicago, Illinois) is an American art historian, art critic of modern art, and photographer. He has been art editor at "The Nation" and executive editor of "Artforum." His essay "American Painting During the Cold War" is of particular importance to the criticism on American Abstract Expressionism. He started his career with a teaching position at New York University (NYU), and joined "The Nation" as art critic in 1961, where he worked until 1968. In 1966, he received the Frank Jewett Mather Award for art criticism from the College Art Association of America, and became "Artforum"'s contributing editor in 1967, rising to remain its executive editor between 1975 and 1977. In 1976, he became an art photographer, and in the following years held numerous shows and became a photography critic. He joined the School of Visual Arts in 1989. He also attended the California Institute of the Arts. He received the 1968 Guggenheim Fellowship and later the 1990 Infinity Award for Writing, from the International Center of Photography.